the peninsula and east Malaysia. It has been using the services of Giga Shipping Sdn Bhd since 2009.
vehicle owners to bear the brunt of the financial dispute. Cheong said that without the payment, Giga has no choice but to hold the vehicles in the respective ports. “The owners are blaming Giga for holding the vehicles. They even lodged police reports against us. “Our company is bound by maritime law and can only release the vehicles to the consignment firm. “Legally, we cannot release them to the owners,” he said. fully settled by the consignment company which will then receive the Bill of Lading. A Bill of Lading is a document issued by the shipping line, with details of the shipment and title of ownership. 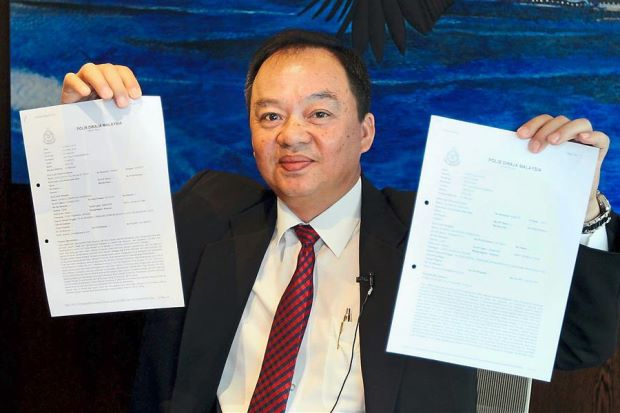 Cheong also claimed that 30 of the 48 vehicles held by Giga went missing between March and May. He alleged that the cars could have been illegally taken out by either the consignment company or the vehicle owners. “We understand and sympathise with the owners. We want to resolve this matter as soon as possible. “We urge the vehicle owners to lodge police reports against the consignment company,” said Cheong. Giga has lodged two police reports against the consignment company.